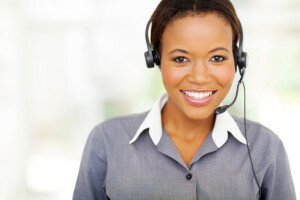 If an agent has been with your call center for several years, getting them to move out of the comfort zone they’ve become accustomed to can be a challenge. 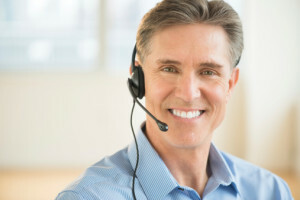 Financial incentives can be an effective way to motivate veteran employees, but there are other methods that call center managers can use to keep senior agents’ skills up-to-date. 3C Contact Services tells their partners that if their employees feel they are a valued part of the organization, this can be just as important as receiving regular monetary raises. If your agents aren’t receiving regular feedback or have no idea how they fit in, they may start to look for other opportunities, regardless of how long they have been with your organization. A veteran agent may not feel motivated to stay current because they lack a clear idea of what’s expected of them. Always let them know about any new developments and provide them with training accordingly. Remind them that staying current is an important part of the job and a way in which to stay competitive. Experienced agents with years on the job often feel it unnecessary to update their knowledge base because of their extensive experience. Their age or level of experience in the industry could also play a part in their getting offended at your request for improvement. Your long-term employees may want to have their skills updated but don’t have the means to do so. For this reason, it could be worthwhile to provide them with the tools, training, and technology they need in order to stay current. It’s also good to check in regularly to find out if there are any skills they want updated or any new developments in the industry that they’re interested in. If an agent feels they are being neglected, they may not feel as motivated to get work done. If you include them in communications and opportunities to update their skills, they will likely take advantage of the opportunity. Be sure to communicate clearly in easily-understandable terms. Helping your veteran agents to stay current should also include keeping them up-to-date on the latest terminology relevant in your specific industry. Part of the reason that long-time employees may settle into a rut and not move forward is that they do not feel engaged. Find a way to involve them in the planning and decision making at your organization; this will make them feel like they hold value in the grand scheme of things. Not knowing whether or not they’re doing a good, bad, or mediocre job can lead to an agent feeling demoralized, or worse, apathy towards their job. They may even start to seek other opportunities. 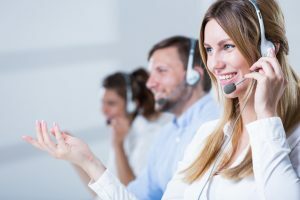 Since high turnover rates are something that many call center managers have to contend with, providing your agents with regular feedback, regardless of how long they have been with your company, is an excellent way to keep them engaged. A long-time employee can feel they are being neglected in favor of new agents. In addition, you wouldn’t want the attention of training newer employees to be misconstrued as favouritism. While you may trust your veteran agents to work on their own, you shouldn’t neglect them either. Their experience can be valuable and they can even help with training new employees–another excellent way to let them know their contributions and knowledge are appreciated. Finally, keep challenging your agents. Boredom and apathy are just a couple of reasons why they may not want to stay up-to-date. Staying current is an essential part of remaining competitive in any industry. This is something that you must emphasize to your entire organization, as it applies to all levels of management. Friedman, E., “10 Steps to Keeping Employees Engaged and Motivated,” eSkill.com; http://blog.eskill.com/employees-engaged-motivated/, last accessed May 29, 2015.